This kitchen renovation required major layout changes to open up the space and create this fabulous island bench. The island seating is oriented at one end and along part of the front face to create an inviting space to congregate at the end of the island. 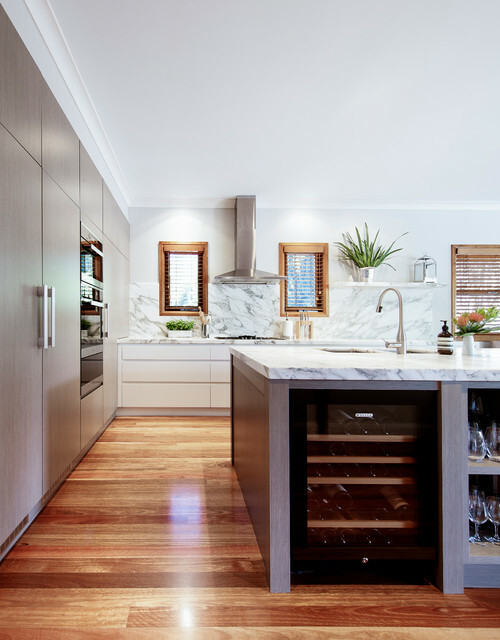 The re-design creates an easy flow in and out of the kitchen from either end of the home. A wine/beer fridge and open shelves for glasses are located for easy access to the outdoor area opposite the kitchen.